Monitor doesn't receive a signal from GPU or integrated graphics? I've tried removing the graphics card and trying the use the integrated graphics on the motherboard - still no luck, the display doesn't come on. When I plug the VGA cable into my graphics card or motherboard a small box saying 'No Signal' appears on my monitor's screen, but it goes away and nothing else happens. Yellow part sounds like a cap popped in your power supply. I would rma the power supply before it shorts out and takes your rig with it.if you have a spare ps try using it to post the system. Alright I've opened it up and found out what was moving about and posted an image. Fans coming on and drives spinning up does not mean that you are getting POST, or start of the boot sequence. PSU's have different power rails, and it could be that the rail that supplies power to the motherboard and CPU has gone bad, which actually seems to happen often when a PSU fails. I agree with others here that if this started suddenly, check all power connections to your board, and then suspect the PSU has gone bad. Just saw the picture, and good grief if that was my PSU I would replace it even if it was working fine, it looks like one that could blow at anytime and take half your hardware with it. I've taken the PSU out so my other hardware isn't in danger. Luckily I've just ordered all the parts to build a new computer and it looks like PSU is arriving first, so I'll try that PSU out with this system and see if that was the problem. God knows how long my PSU has been like this... 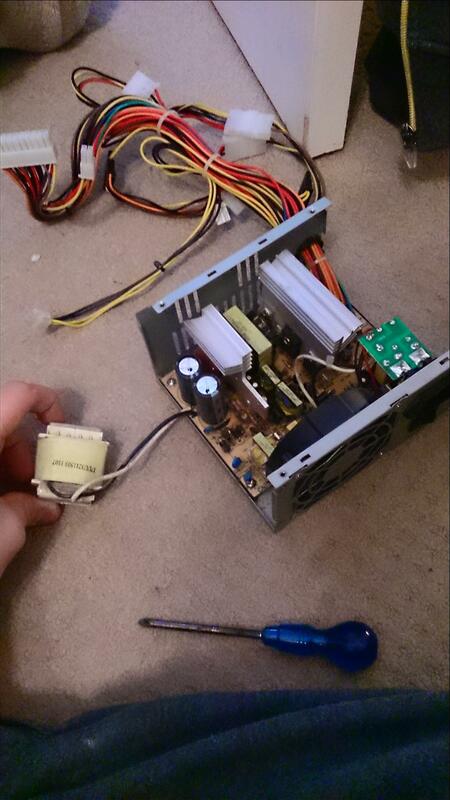 It was only yesterday I took it apart and realised my PSU had an entire part loose! [SOLVED] Turned my PC off and after reboot my monitor isn't receiving a signal now. I just received one of these 2405fpw 24" dell monitor, connections?